LAS VEGAS—As entertainment systems, connected-home technology, and Internet of Things devices proliferate, one question remains to be answered: How are we to control all this hardware? 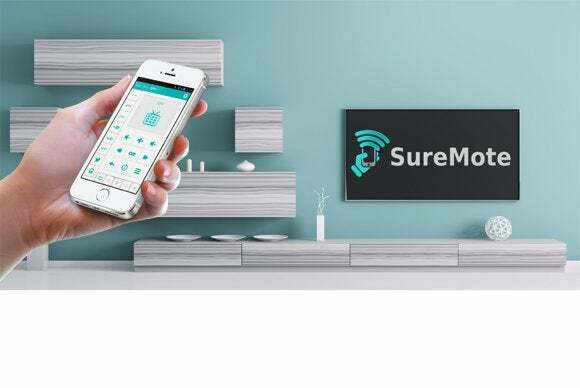 Tekoia thinks it has the answer with SureMote: A universal remote-control app for the Android operating system. And it’s free (though ad supported). Unlike the approach Logitech takes with its Harmony product line —buy a new piece of hardware to control all your other hardware—Tekoia suggests you simply install its app to run on the hardware that’s already in your pocket: Your smartphone. Why this matters: Isn’t everyone looking for the one remote to control them all? The challenge lies in making the remote specific enough to be truly useful to the control all the features of each device. Tekoia claims its online database has codes for more than 10000 devices, so perhaps they’ve cracked that problem. If you’re wondering why SureMote isn’t available for the iPhone, it’s because Apple doesn’t build IR transmitters into its phones. You can buy add-on devices and Infrared-to-Wi-Fi bridges that work with iPhones, but iPhones can’t send IR signals right out of the box.